I told you my dog was BIG! You gave me a good laugh for the day. My daughter had a male black lab that was mixed with something big. 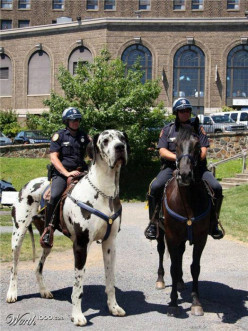 He was as big as a shetland pony, but not that big!! How do you afford his food? But they both LOVE Scooby snacks!! 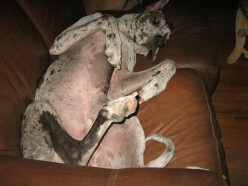 Great Danes have really slow metabolisms, so they don't eat nearly as much as you might think. I had forgotten about the quail thingie. 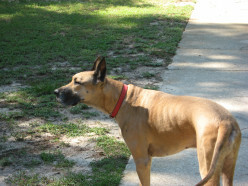 What's the best way to teach an old dog to get along with other dogs? What's the best way to teach an old dog to get along with other dogs?We have a German shepherd that is 11. I'd like to get a puppy, but our current dog can be aggressive to other dogs even though she's been socialized a ton. Is there a way to introduce another dog to our home?